Remember last fall when I bought 200 daffodil bulbs and was thinking I’d made a huge mistake? Well, we got all those bulbs planted—they went in a lot faster than I expected them to, with all of us working together, and they didn’t fill nearly as much space as I thought they would. 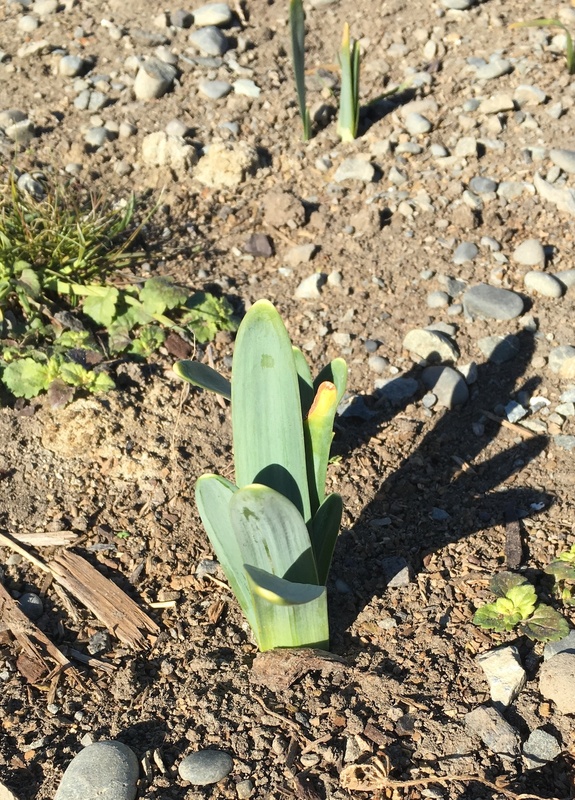 Daffodils coming up everywhere—even in places I don’t remember planting them.